This collection of sermons arises from the culture of an active parish life as a part of its usual worship routine. 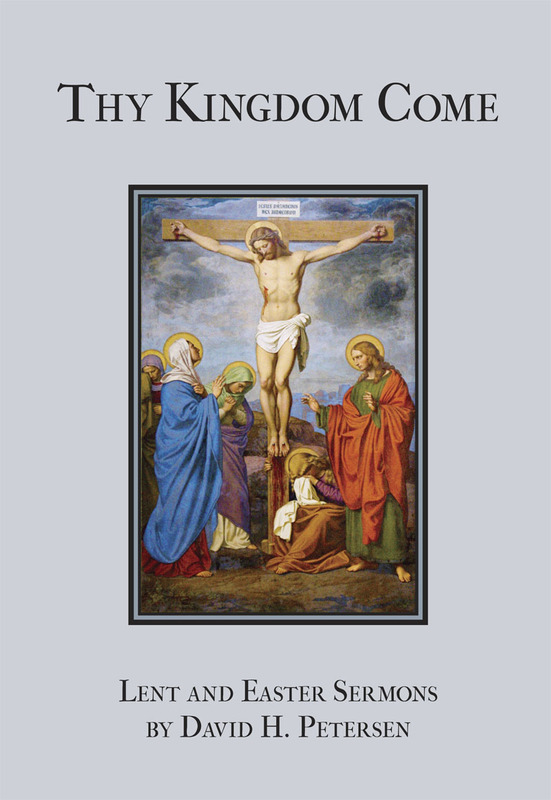 With over sixty sermons spanning Pre-Lent, all forty days of Lent, and the Sundays after Easter, this book now serves as an excellent daily devotion for both pastors and parishioners. Distinctive in his preaching style, Pr. Petersen fluidly interweaves the words of Holy Scripture with his own, immersing us in the text and applying Law and Gospel with sharp insight. As Luther explains in his catechisms, preaching the Word brings the kingdom of heaven from Christ, through the Holy Spirit, to the individual, always pointing us to Christ and Him crucified, died, and risen. Rev. David H. Petersen has been pastor at Redeemer Lutheran Church in Fort Wayne, Indiana, since August of 2000. In addition to his pastoral duties, he is also a prolific writer and magazine editor, serving as editor of the Lutheran journal Gottesdienst, for which he writes on the life and liturgy of the Church. Rev. Petersen has been published in many other journals as well—both scholarly and popular—and is much in demand as a speaker and retreat leader. He graduated from Concordia Theological Seminary with a Master of Divinity in 1996.